What better way to treat beautiful pork chops, than to grill them while basting with a sweet and sour balsamic vinegar reduction. Add nice fresh green salad, and you have a great dinner. You only need a few ingredients. Pork chops, balsamic vinegar, honey, rosemary and butter. Oil and salt the pepper the chops, then leave them alone for half an hour. While the chops are hanging out, make the balsamic reduction. Into a small saucepan, add the balsamic vinegar and honey. I used agave syrup. After the vinegar and honey reduce, add the rosemary and butter. 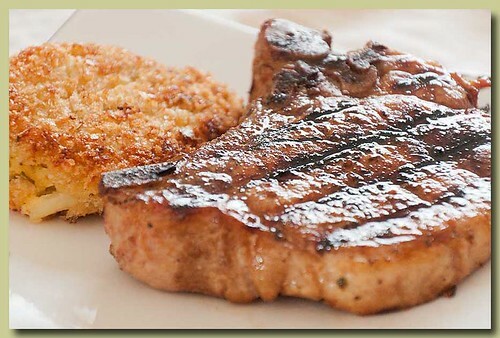 Now you can start grilling the chops, brushing with the reduction as you grill and turn them. 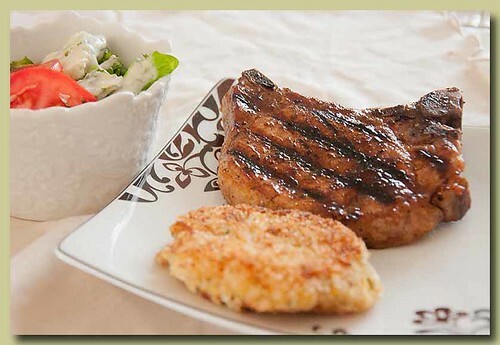 How great is that, a few simple ingredients and you have the best chops ever. Here's the recipe I used. Stan says these are the best chops he's ever had.